Simonet are a small machine tool manufacturer based in Soleure Switzerland. Like most of the firms featured in this archive, Simonet were established as a result of the 20th century burgeoning of the Swiss watch industry centred around Bienne in the Swiss Jura. 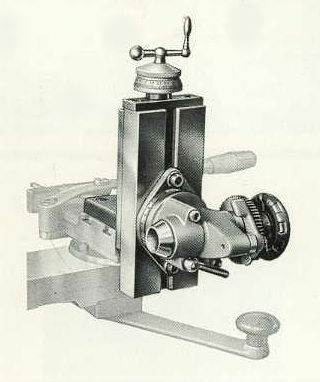 Simonet produced a 4″ plain lathe suitable for horological work and also a superb 4″ screw-cutting lathe. 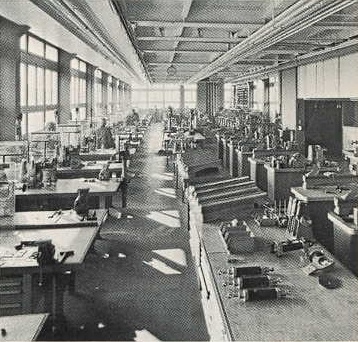 They also made automatic and semi-automatic production machines which are not featured in this archive. 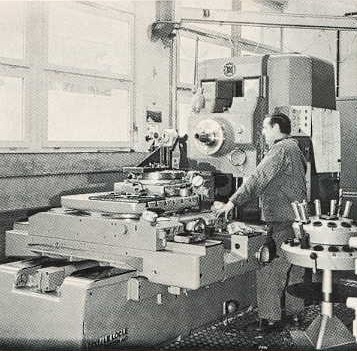 The lathes featured here are very similar to those produced by other Swiss makers and feature the same high build quality. Complete machines, parts and accessories are still available today. 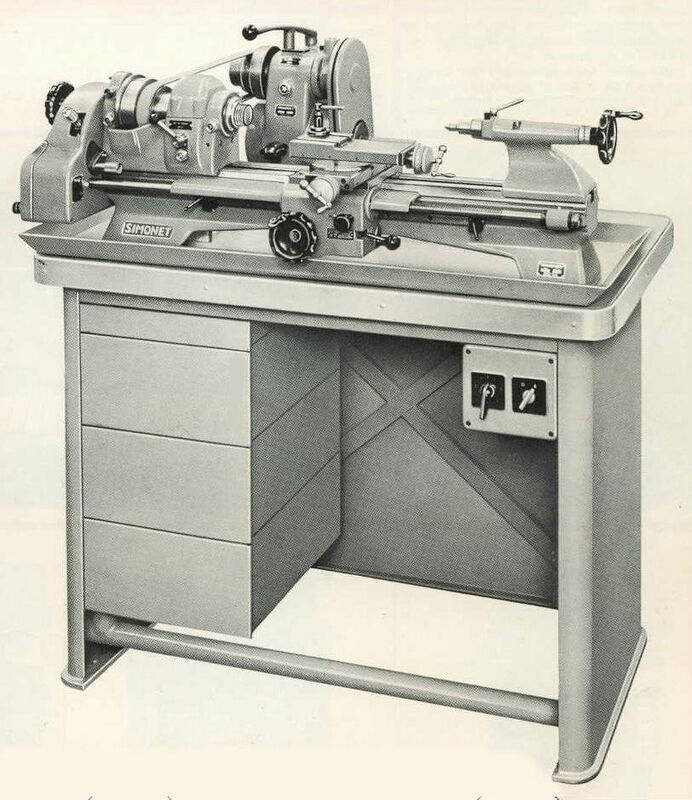 The Simonet DC-102 lathe is very similar to the Schaublin 102 and Mikron T90 featured elsewhere in this archive. The DC-102 has a centre height of 102mm and a distance between centres of 400mm. The headstock is fitted with roller bearings and is also available with back gearing (plain bearings only). 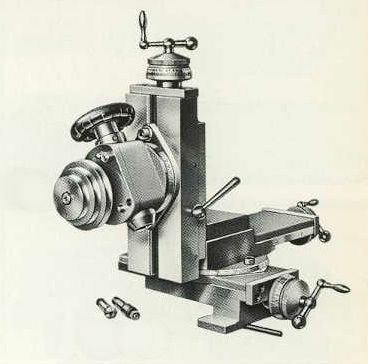 The headstock spindle accepts Schaublin W20 collets. The carriage features covered slideways and has feedscrews mounted in adjustable ball bearing pillow blocks. The screw tailstock is 1MT. Spindle speeds range from 14 to 2750 rpm. The machine measures 1200X960mm and weighs 285kg. 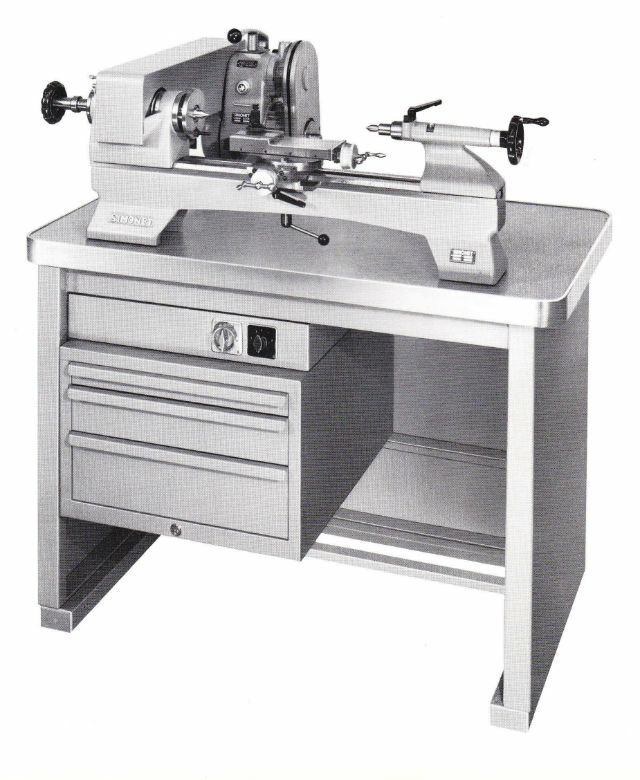 Based upon the DC-102 plain lathe, the DZ-450 has a centre height of 102mm and admits 450mm between centres. The machine features a hardened and ground WW pattern bed, leadscrew protected by coil spring covers (later models), plain bearing back geared headstock accepting Schaublin W20 collets and 1MT screw tailstock. Spindle speeds are between 14 and 2750 rpm. The machine measures 1350X900mm and weighs 325kg. The DC-102/DZ-450 drive unit incorporates a two speed oil-bath gearbox with output ratios of 1:1 or 6:1. The drive motor is supplied as either a single speed device of 1500 or 3000 rpm or a two speed unit with 1500 or 3000 rpm output selected through a commutating and reversing switch. The drive unit also carries the overhead drive for the milling and grinding attachments. This ingenious unit is self tightening under spring tension. 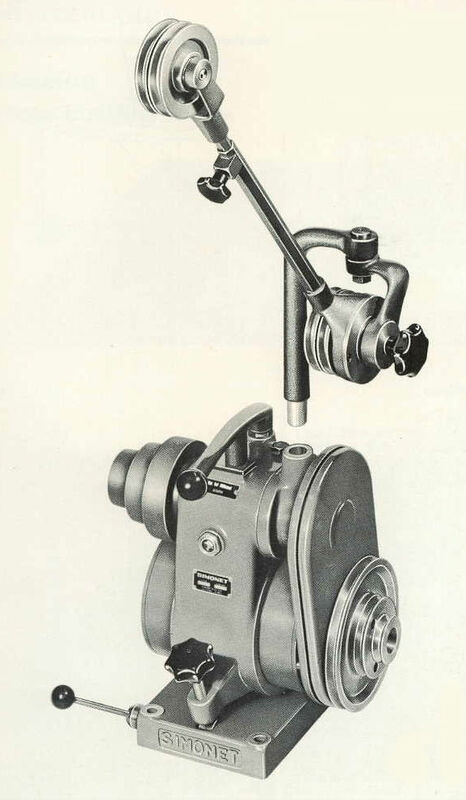 The milling attachment, which will fit both the DC-102 and the DZ-450, is very similar to the early Schaublin item illustrated elsewhere in this archive. The milling head employs W12 collets and also has a speed reduction gearbox. 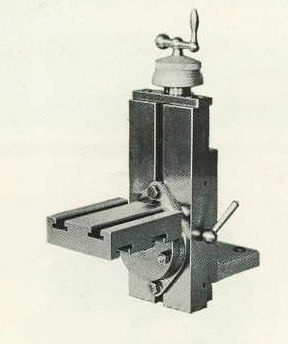 In addition to the geared milling head an indexing head could be substituted. 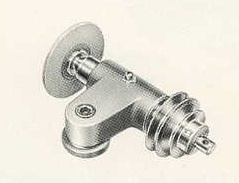 The indexing head accepted W20 collets and was supplied with indexing wheels with 48, 60 and 100 teeth. 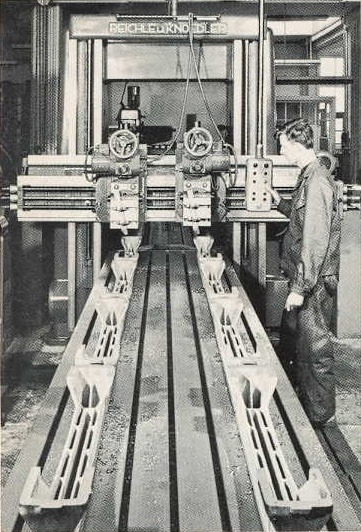 A T-slotted table was also available to hold the job whilst the lathe headstock was used to hold cutters, turning the lathe into a useful horizontal milling and boring machine. Height adjustable grinding attachment. The spindle, running in taper roller bearings, accepts B8 collets and has a maximum speed of 20,000 rpm.